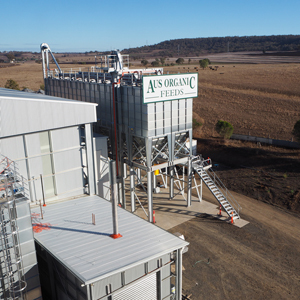 Aus Organic Feeds Pty Ltd is an organic animal feed milling operation based on the Darling Downs, just outside Toowoomba. We’ve been producing quality animal and stockfeeds for the organic industry since the company was established in 2000. Combined with our sister company, Kialla Pure Foods, we are Australia’s largest organic grain milling operation. The integrated nature of our supply chain allows us to work with you to sustain your organic growth. Our association with Kialla Pure Foods enables synergies between the two businesses that provide an ongoing competitive advantage in the sourcing of organic grains – in an industry where supply is limited. In addition to our product range, Aus Organic Feeds now offers contract and toll milling services for both Organic and Conventional rations. To find out more information please contact us. These are specified rations tailored to your needs by our industry leading nutritionist, which are then mixed and pelletised for your animals. We mill your own ration recipe to your spefications. We mill and pelletise your grains, vitamins, minerals etc to your specifications, into the amount of product provided to us. Any items not used in the process are returned to you, not stored on site. Our range of animal feeds are professionally formulated by a leading animal nutritionist in the organic industry. They have been developed to enhance feed conversion, health and productivity through all stages of your animals’ growth, including challenging dry seasons. Our new state-of-the-art facility ensures efficient, consistent and reliable products tailored to your needs. Our Certified Organic Products are compliant with Australian Certified Organic. Some of the products are also certified to the USDA National Organic Program, while our Feed Safe accreditation ensures that we have strict production processes, controls and traceability in place. Quentin has worked in the organic industry for almost twenty years. Having grown up on the land, he understands the difficulties associated with agriculture. And he’s committed to organics because he firmly believes that sustainable farming helps everyone in the food supply chain. 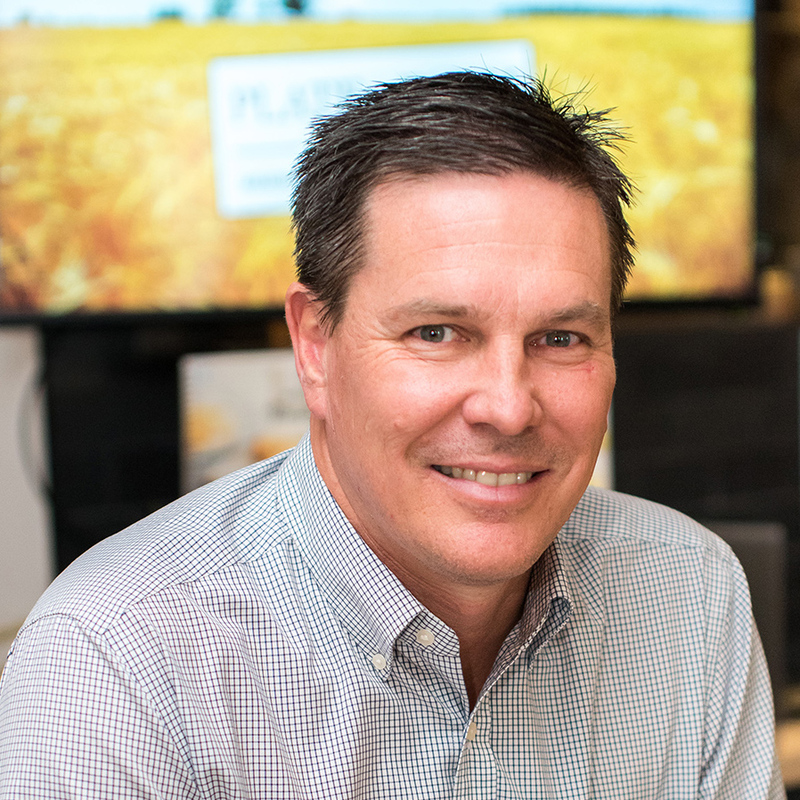 Quentin not only understands farming and milling, as a Board member of Australian Organic (Australia’s largest organic member and certification body), he has an excellent understanding of the organic industry as a whole. He believes that organics is the best way to produce food – because it is able to provide financial and environmental sustainability. Quentin also holds a degree in Agribuisness. Lauren hails from the Wide Bay Burnett region of Queensland with a background in both stud and beef cattle. She obtained a Bachelor of Agribusiness and a Bachelor of Applied Science (Animal Science) from the UQ Gatton Campus. She brings with her the experience and knowledge gained from working outside the field and is able to translate this knowledge into the animal nutrition and organic industries. A tomboy at heart Lauren isn’t afraid to get her hands dirty! Her passion for horse riding lead her into the showing of stud cattle where she learnt from the best in the industry. She’s been involved in the entire process from breeding and genetics to feed rations produced for prized animals. Lauren’s drive is to get the best possible outcome for everyone – animal to owner. Her passion for high performance vehicles and motorbikes means you’ll find her occasionally at Willowbank Raceway, with her brothers, drifting all manner of vehicles around the racetrack. Kris is our full-time go-to person within Aus Organic Feeds. Kris originally joined our Kialla Pure Foods team over 10 years ago as our Quality Assurance and WHS Administrator, but being a passionate animal person quickly became interested in Aus Organic Feeds. Over this period Kris has slowly taken on more sales and purchasing responsibility for AOF. 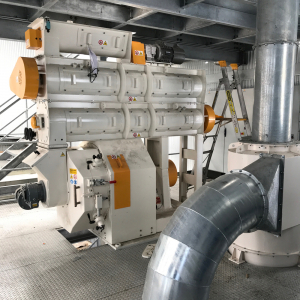 Now, with the new Aus Organic mill, her focus is on ensuring our current clients continue to receive the highest quality organic animal feed. She’ll also be introducing new clients to our wide range of products, and encourages you to make contact with her to discuss any of your animal feed requirements.